There’s a disingenuousness about an extremely wealthy white man claiming he’s the victim of a “witch hunt.” Such super-slurring devalues the many thousands of lives lost in actual witch hunts, most of them female. Regular readers of this blog know that I’ve long been fascinated by witches, and since I have so little time, Very Short Introductions are appealing. Malcolm Gaskill’s such introduction on Witchcraft is a surprisingly sensitive book that manages to touch on many important aspects of those who spend time thinking. The relationship between religion and science, for example. Witches force that question in various ways. The main takeaway, however, is another that the witch-in-chief would do well to take to heart—we must learn from history. History may be the key to human survival. Gaskill has an unnerving balance when it comes to witch hunts. In places his attempts at objectivity can appear a little cold—history has demonstrated that the numbers of people killed in Europe’s witch madness aren’t as high as often claimed. Still, the loss of over 100,000 lives to propitiate our collective fears is tragic. This little book crams a lot of information in and it carries an appropriately warning tone. We don’t really understand what witches are, and we do still live in a world where hunts for them take place. Our psychies, ever so rational, crave magic. Societies from earliest times feared as well as desired it. Our belief in witches, and witchcraft, betrays quite a lot of what it means to be human. This quick study isn’t all about witch hunts, though. It also explores the world of witchcraft, both in ancient and modern times. From Mesopotamian diviners to Wiccans, “the craft” has always been with us and is believed in by a surprisingly large number of people in industrialized societies. Magic, of course, generally leads to unexpected results. And the metaphor of its power over our imagination is forgotten at a terrible price. As Gaskill makes clear, the “witch” can be a stand-in for the other—the other religion, the other nationality, the other we fear and, now with government sanction, drive out or destroy. There is no magic to a wealthy man buying the presidency of the nation. There is, however, a culpability, a reckoning, if you will, that must attend abuses of this metaphor. The GOP has become a party of familiars in this compact with the Devil, it seems. That’s just a metaphor. But then again, metaphors can sometimes truly be magic. It should be fairly obvious that I’ve been researching demons lately. In the current political climate, it feels like a natural thing to do. Where there are demons, there are also exorcists. Many times those who write books on their experience in this realm will lapse into something along the lines of, “If there are demons, then Catholicism has to be true. All of it.” Or something like that. I have to admit that reading the better written accounts makes me start to think that way. R. H. Stavis’ Sister of Darkness: The Chronicles of a Modern Exorcist is another approach altogether. A secular exorcist, Rachel Stavis doesn’t use the time-worn rituals of movie fame. And her book offers an interesting rationale for her exorcisms—she sees entities. I have often wondered if “growing up” isn’t largely teaching ourselves to discount what we perceive as children. I’m sure I’m not the only kid who was told there are no such things as monsters but didn’t fully internalize that “fact.” Besides, some things are worse than monsters. In any case, Stavis states that she sees entities and it’s clear from the book that she does indeed believe this. This isn’t for show. She describes various types of demons and how she learned to exorcize them. It’s a fascinating account. Her explanations won’t convince everyone, and her answers of where demons come from remain somewhat vague, but her clients swear by her methods. And she’s upfront about wanting her work to increase the good in the world by banishing evil. I know many Christians who’d be ready to stone a pagan even for such a good deed as exorcizing a demon. Stavis doesn’t belittle any religion, however, and leans a bit toward Wicca herself. As I read I imagined what a reader convinced of the rectitude of one and only one religions would say. Only Jesus can drive out demons? (Judaism had, and still has exorcists, as do some sects of Islam.) Since a demon is a Christian monster, only a Christian can drive it out? One of the more interesting facts of the history of exorcism is that it was, in the Middle Ages, sometimes an interfaith exercise. The three major religions represented in Europe (the Abrahamic triad) recognized that any of the three could drive out demons. Each welcomed the help of the others. We’ve gone backwards since then. We haven’t again yet reached the stage where we realize that anyone doing good is on the side of good. Even demons, it seems, are conservative these days. I always seem to be running late. Still, I wanted to be reading a book about Halloween on Halloween. If I might be pardoned for bleeding over into All Saints’ Day, I’ll share some thoughts this November on Nicholas Rogers’ Halloween: From Pagan Ritual to Party Night. Academic treatments of holidays, I fear, often suffer because of dispassion. Academics tend to emulate Spock in their writing, and I think that those who write about Halloween should really “get” Halloween. Oh, one can discourse about its quaint history in this ever so rational world, but one might just miss what the whole thing is about. To be fair, Rogers was writing his book during the trauma of 9/11. He wonders if Halloween may be fading. Nashotah House was suffering under an evangelical administration at that time, and the usual Halloween spirit was muted. Some fifteen years on it seems that Halloween earns yet more money and people admit that it’s hip to be scared. Rogers gives a brief treatment of the early, but hidden, history of the holiday. The Celts weren’t much into writing about their festivals and invaders didn’t think much of their quotidian life to begin with. Trying to understand Halloween from modern times, piecing the puzzle together back over time, doesn’t really help much either. Treating the day in its British context, then in its American context, Rogers favors a thematic approach. His section on Halloween movies is interesting. Like most modern treatments of the holiday, his book makes comparison with el Dia de los Muertos, and the usual complaints of cultural imperialism. Maybe Halloween is just too much fun to pass up. It also means this post isn’t that outdated. Nobody owns Halloween. It is taken as a serious holiday by some Wiccans, but liturgical Christians are far more intense about today, All Saints’ Day. It isn’t a national holiday and no national government decides the correct day for trick-or-treating. Perhaps prophetically Chris Christie cancelled Halloween the year of Hurricane Sandy, but did he really? Sitting in the dark for a few days with evenings lit by candles—some of them in Halloween holders—felt pretty spooky to me. Halloween may be a source of intellectual curiosity, but it is a holiday you either get or you don’t. October is its prelude, November is its aftermath. It is, as the Celts used to believe, when cold weather seriously begins to take over and light is a rapidly vanishing commodity. I may be a day late, but Halloween isn’t quite over yet. One of the most coveted phenomena in the publishing world is the bad review. Controversy sells a book like nothing else. It wasn’t because of the controversy, however, that I read Alex Mar’s Witches of America. Looking back, I wasn’t even sure of what to expect. Witches can mean many things and there is little one can do, beyond reading the blurbs and summaries (and who has time for that?) to know beforehand what a book’s really about. I like books about witches, so I just read it. I soon found myself engrossed in a spiritual memoir. Perhaps even more than books on witches, I’m drawn to women’s experience of religion. Many such accounts have haunted me over the years, but Mar’s story was different than most I’ve read. Women often write of escaping intolerant, priapic religions of a conservative stripe. Mar may be the first account I’ve read of a spiritual seeking becoming part of modern paganism. The negative reviews largely focus on what they perceive as a false bill of goods. A woman passing herself off as an authentic seeker just to write a book that violates confidences. As a writer, and as someone who knows authors, I was a little taken aback at this. Those who know writers know they’re disruptive personalities. They look at things differently than most other people do. More than that, their experiences are subjective and must be explained in that vein. Some reviewers claim Mar was just wanting to write a book. Writers know that books write the authors. Spiritual experience is notoriously difficult to capture in words. I’ve read plenty of books about modern witchcraft, including the balanced, academic titles everyone commends. Mar was able, however, to explain the lure far better by taking a personal approach. There are inherent dangers to sharing your innermost experiences. Other people are involved and honest perceptions will sometimes hurt. A writer finds it difficult to hold back. Spiritual experiences are something complex, multilayered, and scandalous. Often I was told, as an undergraduate at a conservative Christian college, that mystical experiences were to be avoided. They are powerful, frightening, and addictive. I can’t say if Mar violated any confidences, but it seems to me that the portraits she paints of witches are complimentary, and generally feel heartfelt. Then again, Christianity has been analyzed seven ways to Sunday, so it may feel like violation if a religion is still largely secretive. Were it not for the negative reviews, I would’ve never guessed that I’d read anything more shocking than the spiritual memoir that offers other ways of looking at what we think we already know. Oh, and did I mention the book was about witches? Framing. Much of what we call “religion” has to do with framing. At one time it was standard practice to assume “pagan” was distasteful, if not downright evil. “Witch” was a pejorative term intended to humiliate and excoriate. Ronald Hutton is one of the few scholars who has taken the time to consider Wicca and related religions seriously. 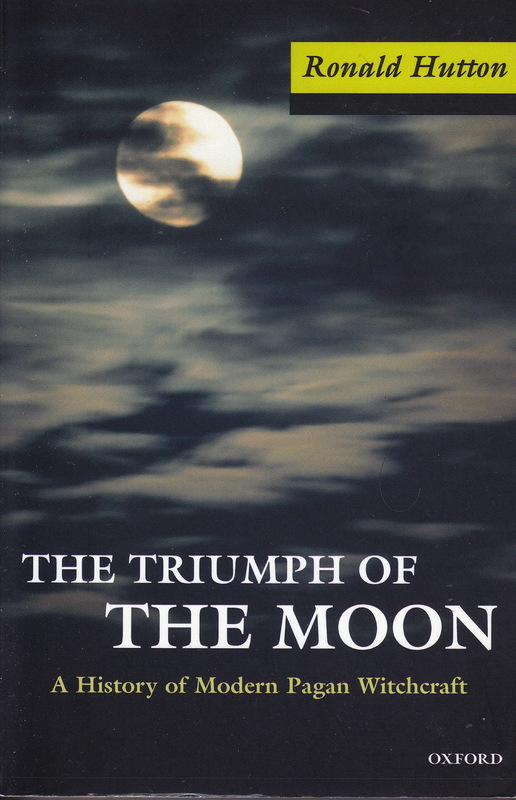 The Triumph of the Moon: a History of Modern Pagan Witchcraft has been on my reading list for quite some time. It is a big book, but this is a complex subject that can’t be dealt with briefly. Taking the time to get to know witches, with a historian’s patience, Hutton has given the world a valuable, balanced resource. Without prejudice, he traces how paganism, Wicca, and witchcraft are religions difficult to define or even categorize. There is little to frame them. Rumor and hearsay make poor substitutes for understanding a religion. Most of what I grew up learning about witches was, in short, completely wrong. I wonder how much more pleasant the world might be if people assumed religions all to be similar in many ways. They are varied attempts to find ways of being moral in a world that gives little clear instruction on the matter. Witches and pagans are only evil in the uninformed opinions of more powerfully established religions. Religions of empire, whether real or only imagined. Those that had political backing and brute force to anathematize those who were different. Theirs is still a stigma that persists. The Triumph of the Moon recounts the development, since the early part of the last century, of a somewhat organized experiment of religion as it grows organically. Without a leading figure or spokesperson, radically egalitarian, these groups, while sometimes in conflict, coalesce around the practice of finding something magical in the world. Theirs is an educated, literate world that does not judge other religions. It isn’t perfect, but then what religion is? The belief structure isn’t so different than many established religions except in the matter of degree. It is private and secretive in a way that we could only wish in many religions, if they could be counted on to behave themselves. I’m not likely to do a sky-clad spiral dance any time soon, but I would say that if we took religions at their word for being what they say they are, we might have a lot more resembling that of the noble pagan. Autumn is a moody time of year. Dolorous gray skies hang low one day, and the next a sky of such incredible blue stretches unbroken out into space itself. Nights are definitely longer now; I climb onto the bus in the dark in the morning and get off in the dark in the evening. And thinking about nature’s cycles leads me to thinking about nature religions. Wicca has often been presented as a nature religion, but it is somewhat more complex than that. 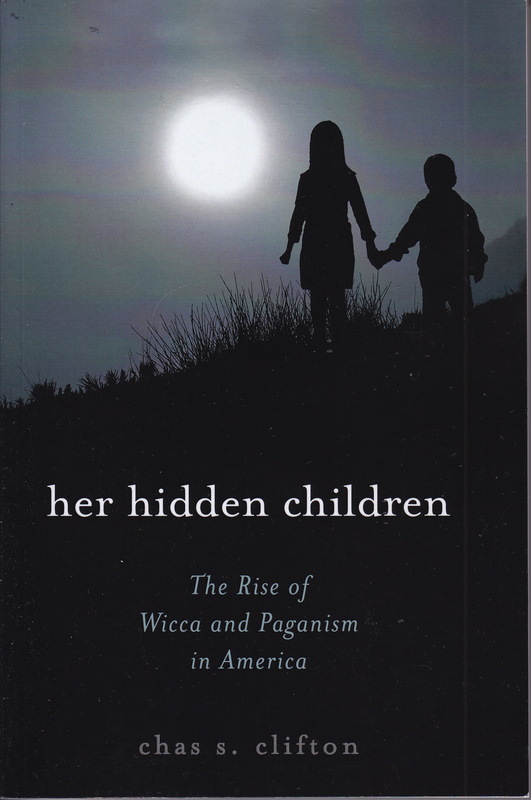 Her Hidden Children: The Rise of Wicca and Paganism in America, by Chas S. Clifton provides a rare academic look at various pagan religions from the inside. Analysts of New Religious Movements have long classified religious witchcraft as a modern religion. Although Gerald Gardener made claims of being initiated into an ancient British coven when he began what was to become Wicca, it is recognized that this claim was unsubstantiated and that Gardener, in true prophetic form, was inventing a new religion. I’ve read quite a bit about witches over the years, but I’ve always found contemporary paganism somewhat confusing. As Clifton points out, there are many branches of this relatively small religion, and there is no single leader or head of the movement. In fact, various groups, just like Christian groups, seem to splinter fairly easily. Many revival religions exist, also claiming the name pagan. You can join those who worship Egyptian gods or Norse deities. Or those who find nature itself divine. Pantheism, panetheism, or just plain paganism. Religions come in endless varieties. In a world committed to allowing individuals to follow their own religious conscience, there are bound to be varieties of religious experiences. Clifton offers a brief history of these fairly recent groups. Paganism began to reassert itself only last century. There had been a social stigma with lying outside the territory claimed by church, synagogue or mosque. Many Americans only learned that religions such as Hinduism and Buddhism existed at the very end of the nineteenth century. What most people don’t realize even today is that a large, and increasingly expanding, variety of religious options exist for the seeker. Not all Wiccans see themselves as believers in a nature religion. Not all pagans call themselves Wiccans. Although Clifton makes no claims to an exhaustive tome, which would have to be far larger, he is a helpful guide through many of the groups that have existed over the past decades and some of which continue to this day. By learning about them we learn some basic truths about the very human urge to connect with something larger than ourselves. We all like to believe we don’t believe in magic. In this day of sophisticated materialism, the idea that unseen forces might work upon the world seems terribly naive and not a little embarrassing. 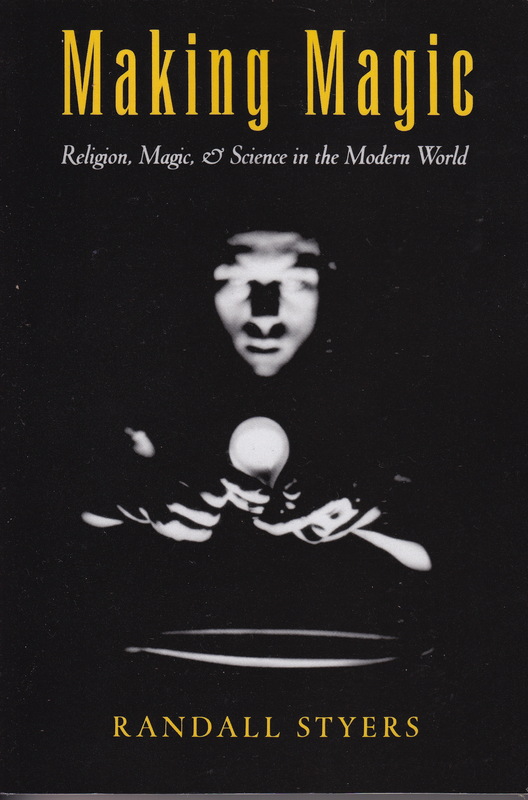 Randall Styers’s Making Magic: Religion, Magic, and Science in the Modern World has been on my reading list for a few years now. Not so much a history of magical thought, Styers offers a history of thought about thought on magic. There are several takeaways from a study like this. One is that magic and science share common ancestors. In fact, some theorists trace the origins of science to magical thought. The height of alchemy was also the period when experimental analysis of the natural world was blossoming. There was a mysterious sense to what we now think of as impassive particles whirling around for no particular reason. Making Magic makes clear that we can’t divorce developed thinking from magical outlooks. In many ways it is difficult to distinguish religion from magic. Not that Styers advocates magical thought. He does, however, invite us to think about it. Another takeaway from this study is that magic, when described by religious writers, is a foil. Magic is used to show how the unenlightened think about things. Those of us here in the true light would never think such backward thoughts. Indeed, magic, as Styers makes clear, often served as a kind of social control. Lower classes think magic works wonders. The upper classes know that power lies in exploitation. Magic, in other words, can’t be divorced from politics. Those in the know would only encourage magical belief to continue. Invisible forces indeed. Magic as a regulatory force is indeed the thesis with which Styers is working. The difference between prayer and magic is somewhat effaced when closely examined. Religious belief is seen as benefiting society while magic is for selfish benefits. I do wonder, however, where the modern magical religions, such as some branches of Wicca, would fit into this scheme. They also seek the good of society. Magic need not be selfish. Making Magic is concerned with the analysis of magic by scholars who’ve shown a surprising interest in the topic. It doesn’t really address those of today who, after finding the atomic world strangely vacuous, have turned to magic to re-enchant a world grown dull and dry. Whatever one may say about magic, it still exists, and its believers are among us. Our world with its solemn, feelingless answers could, at times, use a little such conjuring.